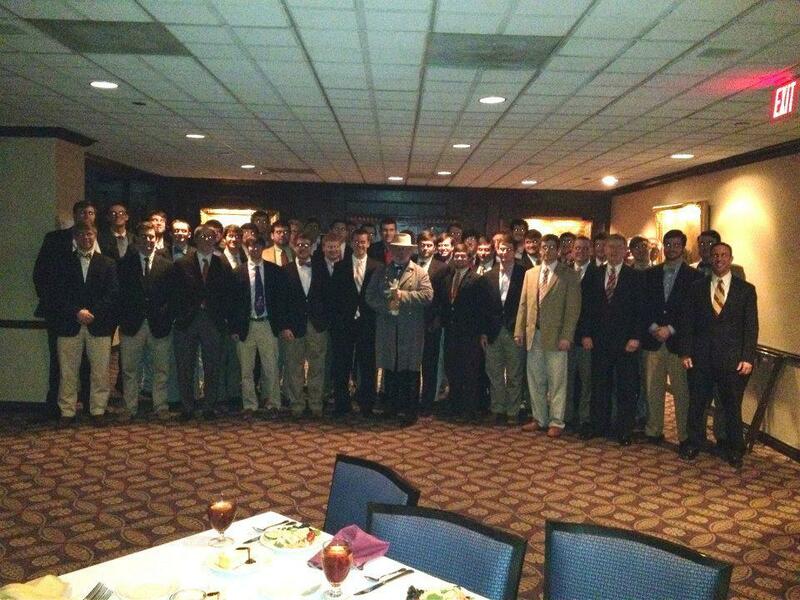 The brothers of Kappa Alpha really like Robert E. Lee. They think the Confederate general is their frat's "spiritual founder" and admire him as a "towering figure of a chivalrous gentleman, great leader, military hero, educator, and both a Southern and an American patriot." Every year, they toast Lee at special banquets, hailing his "flawless manhood" and how "his name will live in our hearts and in human history forever." KA dudes celebrate his birthday and praise him for his "timeless morals and ideals" – a role model and a "true gentleman." Such is their affection for Lee, the national KA store sells portraits of him for $200. It's only when we got in touch with them to ask about Lee that the links to pictures on their chapter websites and posts on their Facebook pages started to go dead. Robert E. Lee is widely recognized as not only a bigot but the hero of millions of bigots. Ever since he led the Confederate army to war for the right to own slaves – and lost – some Southerners continue to hark back to the days of segregation and state-sanctioned misery. In case there was any doubt, Lee wrote in a famous letter to his wife that slavery was "a greater evil to the white man than to the black race." "The blacks are immeasurably better off here than in Africa, morally, socially and physically," he added. This is why it's hard for universities to argue with monuments of Lee and other Confederate icons from being torn down in places like Austin, Durham and New Orleans, and others slated to be removed in Jacksonville, Lexington and San Antonio. But in Kappa Alpha’s nationwide membership of over 8000 students, Lee has a fanbase that isn't willing to let him go. Despite the national organization outlawing members to dress in Confederate outfits, it didn't stop the University of Tennessee chapter from hiring a Robert E. Lee impersonator to come to their house. 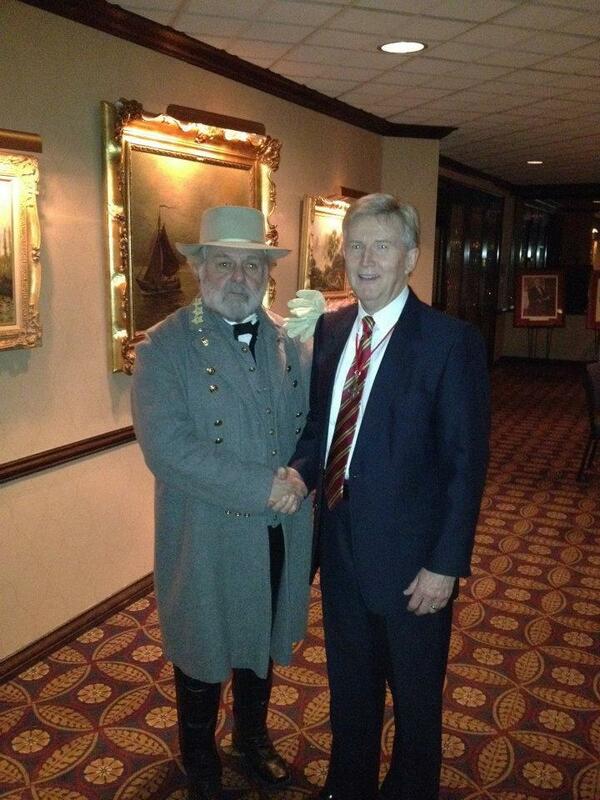 When we contacted them about hiring a Lee impersonator, KA Tennessee did not respond. But they did delete their photos. Kayla Renee Parker, a senior and person of color at UT, told The Tab she feels "scared" on hearing about Kappa Alpha. She's recently been protesting for the removal of a Confederate statue near campus, and said: "It does make me feel incredibly uncomfortable that there are students within this fraternity who are very open about supporting the Confederacy." Meanwhile, KA's William and Mary chapter have a framed portrait of Lee, below, that they like to pose next to. They did not respond when we contacted them this week. The same goes for the chapter at the University of Houston, where Lee's portrait came out for their charter banquet. They also did not respond to us, but their photos are still up. It makes sense, given their Facebook mission statement: "Kappa Alpha Order seeks to create a lifetime experience which centers on reverence to God, duty, honor, character and gentlemanly conduct as inspired by Robert E. Lee, our spiritual founder." Over at Eastern Kentucky University, they recently celebrated Lee's "210th birthday." The brothers of KA at the University of North Florida have a post on their Facebook page saluting him for his "courteous nature." Again, just as a refresher on Lee, this is the guy who said: "You can’t trust negroes by themselves." Trust me on this: make sure you keep watching until 60 seconds in. One (currently inactive) chapter had a custom clothing company print Robert E. Lee sweatshirts. We messaged them about this. A couple days later, the entire Facebook page had disappeared. Members even visit his grave and post awestruck Instagrams about it. While we're on the subject of Instagram, KAs are huge fans of posting about #OldSouth parties – sometimes at former plantations – and "keeping the traditions alive," whatever you take that to mean. This all comes from the top down – it's not like it's hard to find material singing Robert E. Lee's praises on KA's national site, the words of which filter down to be parroted by local chapters. There you can find links to what they call their Convivium Speech (page 245), reports of recent ones they've held – all toasting Lee, as well as posts celebrating his birthday on Facebook. They held one of these conviviums in Charlottesville to honor Lee back in January, about a 10 minute drive from the site of this August's protests. Kappa Alpha hasn't responded to say whether they'll be holding it again in 2018. It's hard to make sense of a lot of this. What does it mean that a college organization today can openly lionize someone like Robert E. Lee? Lecia Brooks of the Southern Poverty Law Center said she was "appalled" at hearing a national fraternity organizes annual toasts to Lee. She explained it's impossible to divorce his history as a Confederate leader from the persona of him – and his five years as a college president – that Kappa Alpha is trying to represent. "I'm just appalled. People could do the same thing about Hitler. All kinds of tyrants have been beloved by some segment of the population, typically those who supported their cause. This furthers the notion of the Lost Cause and tries to write a revisionist history of what happened. Anyone that does a thorough scan of history must reject this version of Robert E. Lee. "He was a treasonous leader. He took up arms against the US government in defense of states' rights, and that state right being for human beings to own other human beings. "Lee never renounced the real reason why he was fighting on the side of the South – slavery. You can't just hold him in one moment in time and forget about how he came to be a public figure at all." "That is simply not what we are about, as our members, friends, family, and campus partners know. We disagree with the SPLC characterization of Lee, as do many educators, historians, and experts, and your use of that characterization. As we stated earlier, the founding and early members, and more importantly today’s membership takes note of Lee because of our values of reverence, gentility, knowledge, leadership, brotherhood, and excellence—those he exemplified at Washington College. Our members, following his example and goal of bringing the country together, saw him in context as a gentleman, educator, and leader. "When informed about past posts, some of which came from a closed chapter, some made the decision to remove material referenced because our men do not wish to offend others. The fraternity has long taken extraordinary steps to prohibit that which may be offensive in a successful effort to be welcoming and inclusive to our members, friends, and neighbors as is called for by our values." They added details about the amount of philanthropy work KA does, and the number of members who weren't Confederates but other military figures, like General Patton and General Marshall. As those other posts continue to come down, it's worth pointing out Kappa Alpha aren't the only ones enamoured of the Confederacy. Kappa Sigma, another fraternity founded in the 1860s that claims to devote itself to "service, fellowship and responsibility," recently gave honorary membership to Confederate President Jefferson Davis' descendant. 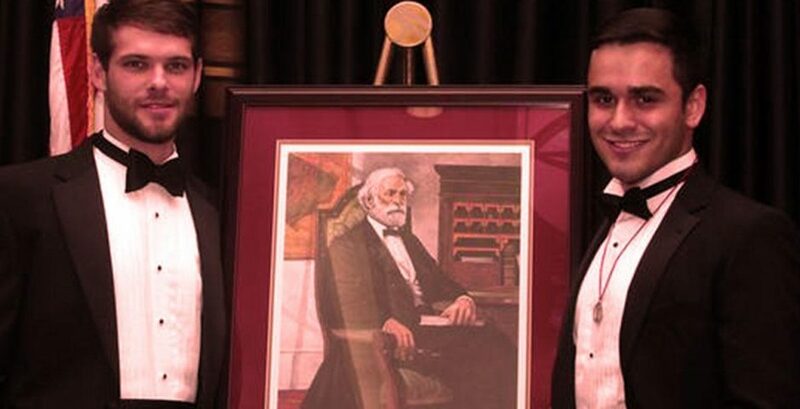 Bertram Davis-Hayes, the great-great grandson of the man who ruled over the Confederate States of America, became a member of Kappa Sigma in 2014 in a special service in Biloxi, Mississippi. Jefferson Davis became an honorary member after the Civil War, following the death of his son Davis Jr, who was in Kappa Sigma. Kappa Sigma did not respond to multiple requests for comment. Kappa Alpha is by no means alone when it comes to championing Confederate leaders and presenting them as men of upstanding virtue. But as an organization that openly supports Robert E. Lee across its 130 chapters, they're certainly the most shameless about it. In writing this article, we went to Kappa Alpha with a list of posts full of fawning references to Lee. They took some of them down but days later, many are still up. Maybe they don’t realize how it looks or how it might make minority students feel. Maybe they don’t care.